Moorpark Facility Storage is Safe and Secure! Honor Storage Moorpark provides the best storage solutions for every personal need. Finding a safe and secure storage unit is very important, but picking the right storage company for this can be a challenge. Luckily, our storage facilities in Moorpark do meet these necessary requirements. We will take care of everything! Most likely, you never had a relaxing and de-stressed move like the one Honor Storage will provide you with. We pick all your valuable belongings up personally and move them to one of our storage facilities. Our professional storage and moving team has been doing this for years, and knows what is important. They’ll take your valuable belongings to and from the storage unit without any hassle for you at all. Both residential and commercial storage are available at our secure storage needs. Try one of our portable storage options and see for yourself how easy it is to store with Honor Storage! Moorpark Storage prides itself on offering high-quality and affordable self-storage facilities. Most likely, moving will already have some considerable expenses for you. Honor Storage knows this, and will offer you storage units according to your financial needs. Our professional On-Site Storage Team will help you in selecting the right size storage unit and lease, based on your budget and needs. Occasionally, we offer very attractive rates with occasional special discounts as well. If you are looking for a safe AND affordable storage unit, it might be a good idea to give us a quick call and ask us for a quote. Reach out to us today here and find the perfect storage unit with us! 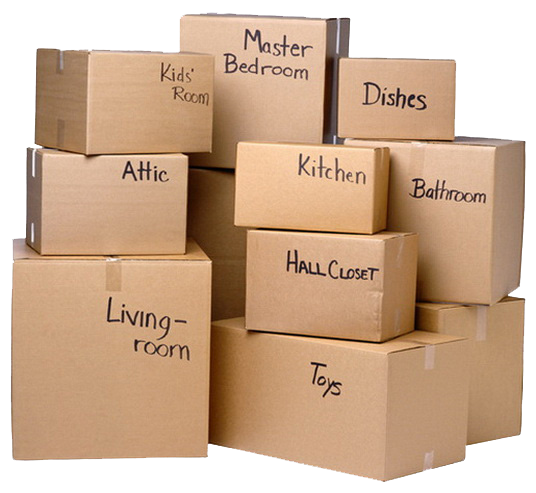 Are you looking for a top storage and moving company located in Moorpark? Look no further. Our many happy clients will agree that we are the #1 provider of rental storage units in and around Moorpark. Our main location is conveniently located at 3112 Seaborg Ave in the neighboring city of Ventura. Wherever you are moving in Ventura County, we will be ready for you. We will get your belongings personally from your home and store them as if it were our own belongings. Next to Moorpark, we also serve the community of Camarillo & Oxnard. We know Ventura County like the back of our hand. It doesn’t matter if you are moving to or from one of these locations, we will definitely be able to help. Our goal is to deliver the best storage experience for our customers. We do this by taking care of the headaches associated with storing your belongings and giving you peace of mind. The Honor Storage team makes sure everything goes as smooth as possible for you and your family. Once all your stuff is loaded, we can store it in perfect condition for you as long as you want. When the time is right, we will move everything back from the portable storage unit to your final destination. If you're looking for a local Moorpark portable storage company near your home or office that provides reliable service and options that meet your specific needs – then Honor Storage is the right choice for you. Moorpark is a smaller city located east of Ventura and is a beautiful place to live. The town, which was founded in 1900, has experienced a great amount of growth since the late 1970s.There’s approximately 37,000 people living in Moorpark. Where the origin of the name “Moorpark” comes from is unknown. The most common explanation is that the town is named after the Moonpark apricot, which used to grow in this area. Moorpark is a wonderful place to buy a house and raise a family. Also housing is a little cheaper than any of the neighboring cities around Moorpark. There are a lot of local parks spread out across the city and you won’t be bored since the city organizes a variety of recreational activities throughout the years. Although Moorpark is relatively small, its location is ideal as you are minutes away from the San Fernando Valley, the beaches and the Conejo Valley. Our Moorpark self-storage company will pick up and deliver your portable storage unit for you. When you’re ready to get your belongings back, we return the storage unit right away at your convenience. We do our best to make this process as easy as possible for our customers. In short, if you’ve been looking for premium Moorpark Self Storage, you’ve come to the right place! At our Moorpark Portable Self Storage Facilities, we are very committed to make storing your belongings as easy as possible. We aspire to be your one-stop source for moving and storage. That’s why we offer storage units, packing supplies, boxes, trucks, and a moving company to assist with your needs. We take care of everything. It doesn’t matter if you are a homeowner moving to a nearby city, or a small business that’s relocating, we can certainly help. Honor Storage Moorpark offers the flexibility that you want at the affordable prices that you need. Everyone has a need for a storage facility at some time, and Honor Storage is the perfect solution to your storage needs.